Antique Czechoslovakian lion sulphide paperweight. 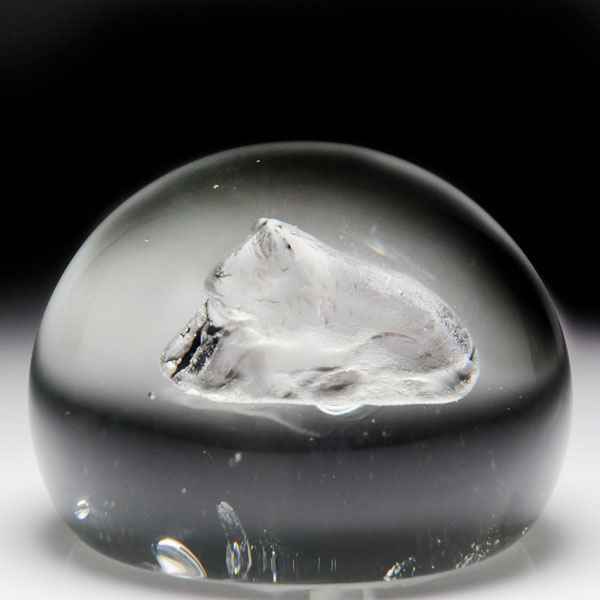 The piece contains a three-dimensional white sulphide of a lion, over clear ground. Diameter 3 1/4".